Dr. Iva Petkovska is a radiologist with a practice experience of approximately 20 years. She is board certified in Diagnostic Radiology. Dr. Petkovska graduated from the University Kiril and Metodij Faculty of Medicine and completed her residency at Beth Israel Deaconess Medical Center. A clinical fellowship, at Stanford Hospital, followed, as well as two research fellowships at the University of California in Los Angeles and at Massachusetts General Hospital. She has also been an assistant professor of radiology and an attending radiologist at the University of Arizona in Tucson for 3 years. Dr. Iva Petkovska’s research focuses on the diagnosis and staging of colorectal cancer. 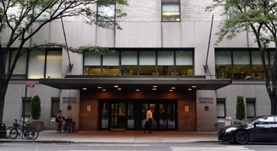 Over the course of her career, Dr. Petkovska has contributed to several publications and is currently affiliated with Memorial Sloan Kettering Cancer Center in New York. Dr. Iva Petkovska has contributed to 3 publications. CT evaluation of congenital choanal atresia: our experience and review of the literature. Petkovska, L., Petkovska, I., Ramadan, S., Aslam, M. O.; Australas Radiol. 2007 Jun. The Lung Image Database Consortium (LIDC) and Image Database Resource Initiative (IDRI): a completed reference database of lung nodules on CT scans. Armato, S. G., McLennan, G., Bidaut, L., McNitt-Gray, M. F., Meyer, C. R., Reeves, A. P., Zhao, B., Aberle, D. R., Henschke, C. I., Hoffman, E. A., Kazerooni, E. A., M...; Med Phys. 2011 Feb.
An architecture for computer-aided detection and radiologic measurement of lung nodules in clinical trials. Brown, M. S., Pais, R., Qing, P., Shah, S., McNitt-Gray, M. F., Goldin, J. G., Petkovska, I., Tran, L., Aberle, D. R.; Cancer Inform. 2007 Jan 01.